Top tray for accessories like a wallet, change, a watch, jewelry, etc. 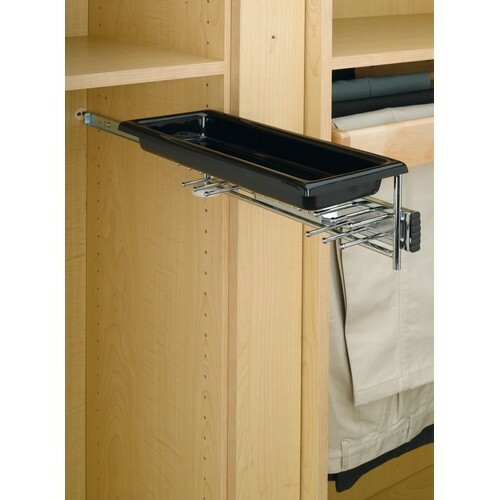 Belt storage has never been easier then with our pullout belt storage system. Available in chrome, it is beautifully designed to hold belts neatly, is completely accessible, and is the perfect addition to any 14" depth closet application.